Popularly referred as the ‘queen of the hill stations’, Ooty is a renowned hill station of India nestled at an elevation of 2,286 meters above sea level in the Nilgiri district of Tamil Nadu. 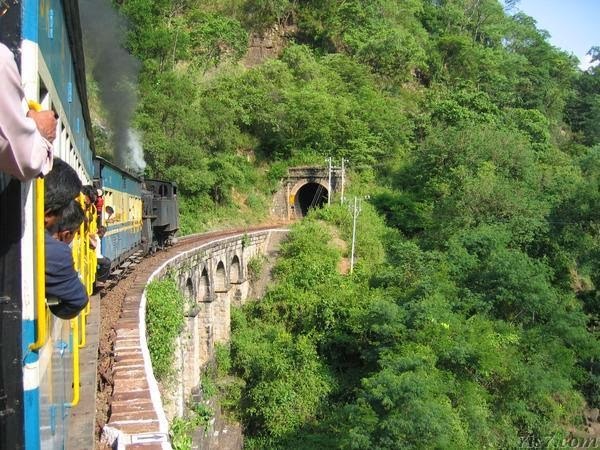 The picturesque landscape, scenic beauty, beautiful surroundings along number of tourist places of interest have been the major boosters for tourism in the area. This hill beauty is visited by more than 2 million of domestic tourists and above 20, 000 of foreign tourists annually. 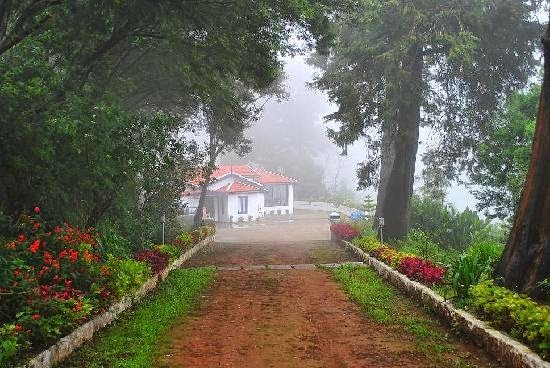 Doddabetta Peak: Highest point in the Nilgiri district and tenth highest peak of India, Doddabetta peak placed at a height of 2,623 is the best view point to relish astounding views of the beautiful vicinity of Ooty and its bordering areas like Mysore and Coimbatore. Visitors can get worldly views with the help of a telescope which is placed in the peak by the Tamil Nadu Development Corporation to facilitate tourists. One has to indulge in a moderate level of trekking to reach the top of the peak so that you can feast your eyes with astonishing sights of nature. Ooty Lake: Ooty Lake, spread over an area of 65 acres is a manmade lake built by John Sullivan (Founder of Ooty) in 1824. Surrounded by Eucalyptus trees on all sides, visitors can relish boating over the exciting waters of this lake for further fun and excitement. This ‘L’ Shaped lake organizes pageants and other boating competitions annually. Deer Park: Considered as one of the high altitude zoos of India, the Deer Park placed on the edge of the Ooty Lake is an added attraction of this hill beauty which houses number of deer species including sambar deer, barking deer along with other animals. Botanical Garden: Nestled at a height of 2400 meters above sea level and flourished over a thriving area of 22 hectares, the Botanical Garden houses 20 million year old fossil tree, rare species of trees, an Italian style garden bordering, rare coloured lilies and many other flowering plants. Every year, the garden organizes a ‘Summer Festival’ on the month of May which witnesses large number of nature and flower lovers from across the globe. It is currently maintained by the Government of Tamil Nadu. Government Museum: Storehouses of tribal objects and artifacts, sculptural arts and crafts of Tamil Nadu, the Government Museum founded in 1989 is positioned on the Mysore Road, Udhagamandalam (nearby Ooty). It was established with a view to provide information and knowledge to the residing inhabitants about the rich bygone era of the Nilgiri district. The museum is open from 10:00 am to 1:00 pm and 2:00 pm to 5:00 pm. The entry is free. Ooty is place enriched with composite culture mainly dominated by South Indian population and a strong Christian society. Currently, it is inhabited by the tribal community, some British families and settlements from other parts of India. The annual ‘Tea and Tourism festival’ and ‘Summer Festival’ are the major festivals celebrated by all the residents irrespective of their caste and creed. The traditional art paintings which are known as Tanjore are very popular among the tourists who purchase it as a memento. The cuisine includes both vegetarian and non vegetarian dishes. Vegetarian includes dosa, uttapam, pongal, idly etc. while non vegetarian dishes include mutton, chicken, fish and many other culinary delights. The restaurants in Ooty serves Indian, Western, Italian as well as Chinese dishes to its guests. 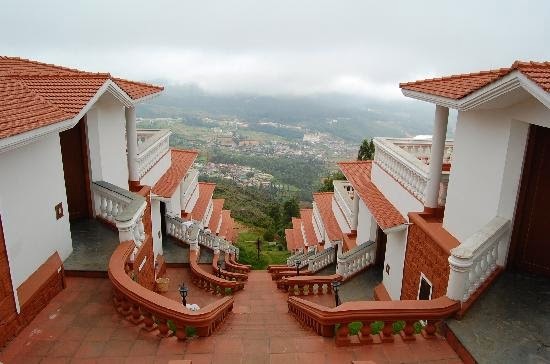 Pykara placed at an expanse of 19 km from the main town of Ooty is an ideal place to venture for tourists. On the way, the Pine Forest where the thick density and the population of the pine trees prevent the sun even to reach the ground is a perfect place for a long natural walk with your loving partner or with your friends. After a short and sweet scenic venture through the beautiful forested area of high and low ranges, you will reach the land of Pykara where the enchanting waterfall, river and the stunning lake awaits you with all its glory. Relish boating, enjoy natural sightseeing, capture moments in your camera and most especially make sure to relish a glittering sunset while sitting on the banks of the astounding Pykara Lake which is sure to steal away the moment. Another activity that you can relish here in Ooty beside trekking to the Doddabetta peak and venturing to the beautiful Pykara is discovering various species of rose in the Rose Garden of Ooty which is one of the important garden of South Asia owing to its high number of rose species which is recorded to be 2800 in numbers.